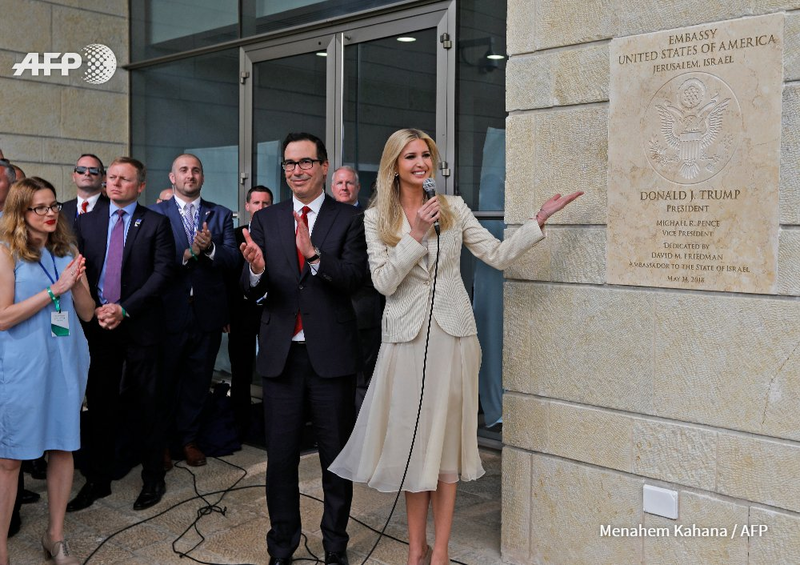 This is the picture of the official opening of a US embassy in Jerusalem. 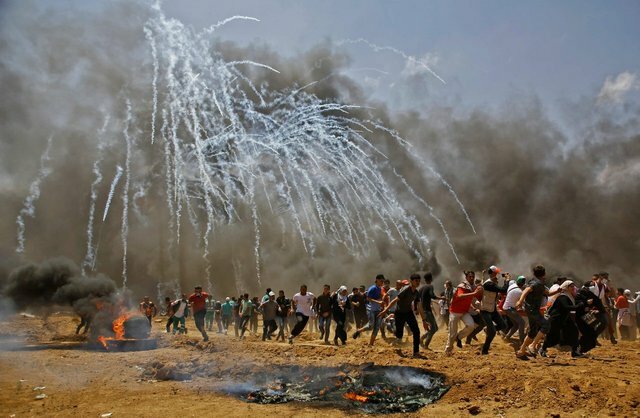 This is what was happening on the Gaza border. Palestinian health officials have reported at least 52 people killed by Israeli forces along the fence with Israel. More than a thousand demonstrators were injured. "It seems anyone is liable to be shot dead or injured: women, children, press, first responders, bystanders, & at almost any point up to 700m from the fence"
was stated by official UN human rights twitter account.